It's a memorable moment in any actor's life to learn they've beat out the competition and won a part they dared to dream could be theirs. Yet some stories of how actors found out they got the part take on a life of their own, turning a notable memory into something unforgettable. Read on for tales of the crazy ways actors discovered they were cast in movies. When Sony Pictures confirmed a release date for a planned remake of the 1995 family film favorite Jumanji, the internet blowback was fierce. This likely had a lot to do with timing; the news was reported by Variety barely a week before the one-year anniversary of Jumanji star Robin Williams' untimely death. Williams' performance is beloved by kids who grew up watching the tale of the mysterious jungle-themed board game, and those same kids turned adults seemed pretty concerned that their memories of Jumanji would be diminished. 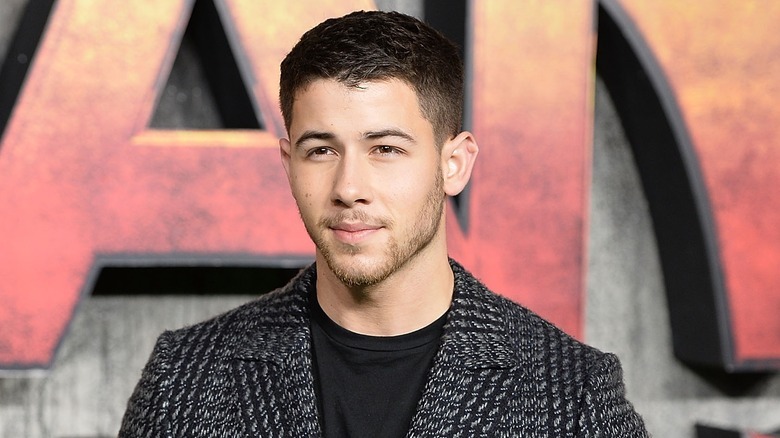 One of those now-adult Jumanji fans is singer/actor Nick Jonas. As a kid in growing up in Northern New Jersey, Jonas rented and watched a VHS copy of the adventure film "three or four times" in just one week, calling himself a "huge fan." When he got the call that he'd been cast in Jumanji: Welcome to the Jungle, he was on tour—and in an eerie coincidence, Jumanji was actually playing on his tour bus when he learned he'd be playing a character drawn into the same mystical game that had captured his childhood imagination. "It was kind of serendipitous, the whole thing," Jonas later said of the incident. Luckily for him, and Jumanji's many fans, the movie Jones signed on for turned out to be a critical and commercial hit. Jumanji: Welcome to the Jungle picks up right where the first film left off, and even includes an homage to Williams' memorable character. By the time Henry Cavill tried on a replica of Christopher Reeve's Superman suit at an audition for Man of Steel, he had learned not to count his chickens as far as leading roles were concerned. He almost played James Bond in Casino Royale, but lost out to Daniel Craig. Fans circulated a petition to push him into the role of Cedric DIggory in Harry Potter and the Goblet of Fire, a part he lost to Robert Pattinson. He was Stephenie Meyer's top pick for Edward Cullen in Twilight, but was deemed too old, and again lost to Pattinson. 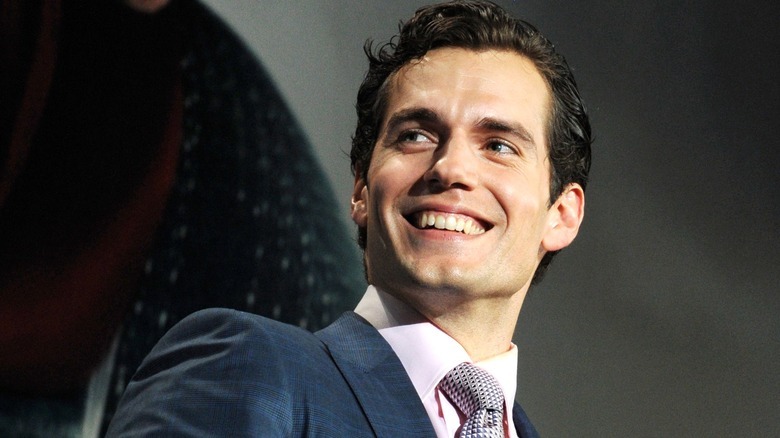 Cavill was even attached to play Superman in McG's reboot of the franchise, but replaced by Brandon Routh when director Bryan Singer took the helm. It's no surprise, then, that Cavill felt intimidated donning the cape and boots in the final round of auditions for Man of Steel. Claiming he wasn't "physically ready for the suit," Cavill said he felt too out of shape to play the Spandex-clad hero: "I just thought, there's no way I'm getting this role." So what was Cavill doing when he got the call to play the man from Krypton? Something very down to earth: playing the popular online role-playing game World of Warcraft. "It's surreal," said Cavill. "I just went very quiet and thought, 'Oh my goodness…I'm Superman.' And I didn't do anything for about five minutes. I just really don't know quite what to do with myself." Disney's search for the voice that would bring Moana, the titular star of their animated film, to life saw the studio auditioning hundreds of talented hopefuls throughout the Pacific Islands. 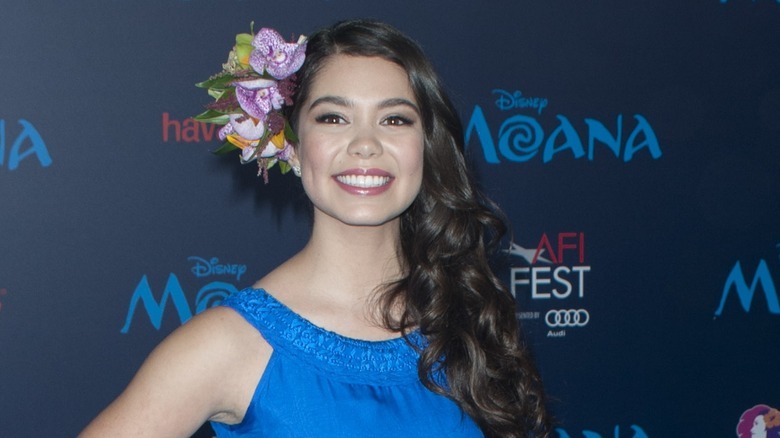 14-year-old Auli'i Cravalho won the role, and was actually the last person casting director Rachel Sutton saw. A few weeks later, she was asked to appear again for an official audition. Despite having no acting or singing credits whatsoever, Cravalho managed to have "a whole bunch of fun" with her high-stakes tryout. That audition led to a taped callback where Cravalho was told she would have to do more ad-libbing. Director Ron Clements told her to repeat a take of dialogue, asking: "is there was a way you could be happier still?" Sutton explained that the directors told Cravalho, "Actually, maybe you could play it more like we're telling you that we're offering you the role." Director John Musker instructed her to "react as you would if you heard that news." Cravalho's mother explained that the cheeky production team had her daughter go through a few more takes before they gave her the good news. "We're not pretending now," they told her. "We want you to be the voice of Moana in our movie." You might think that delivering life-altering news to a young actor on camera is a byproduct of the viral video trends that are a staple of marketing departments in in the age of social media. 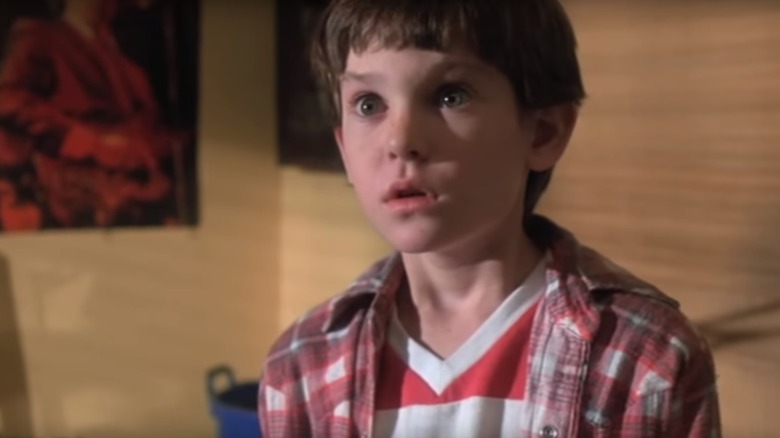 That wouldn't explain what happened to 9-year-old Henry Thomas, however, in his taped audition with director Steven Spielberg for the lead role of Elliott in E.T. the Extra-Terrestrial. Thomas was instructed by Spielberg to act as if a man from NASA had arrived to take away a creature that Thomas had known "for three or four weeks" and become "best friends with … and you're not going to let him." Thomas had worked on only one movie before this audition for one of the most famous directors in show business, but he nodded like a pro before launching into an seemingly improvised scene with casting director Mike Fenton off-camera. The performance started in a surprisingly measured fashion, building until Thomas was crying real tears, shouting: "I don't care what the President says, he's my best friend and you can't take him away!" Spielberg had already auditioned over 100 young actors by the time he encountered Thomas—more than enough to know he'd finally found his Elliott. As Fenton wrapped up his dialogue with Thomas, Spielberg barely hesitated before telling the boy, "Okay, kid. You got the job!" 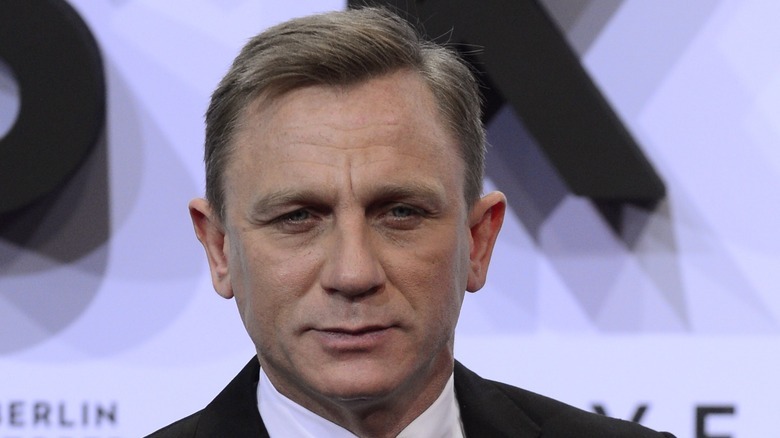 Daniel Craig has become one of Hollywood's most recognizable faces since his starmaking turn as film's most famous spy, James Bond. His profile is such that he likely has his pick of projects, but that hasn't made him complacent. Take the story of how Craig came to star in the 2017 drama Kings, in which he and Halle Berry play neighbors caught up in the civil unrest in Los Angeles following the 1992 acquittal of LAPD officers caught on tape assaulting Rodney King. Craig had seen the 2015 film Mustang, which earned an Academy Award nomination for director Deniz Gamze Ergüven, and was "blown away by the beauty of it." So he decided to call her and simply ask if she would consider him for any future projects. Erguven said the cold call "was surreal…I'd been working on Kings for 11 years, and the part was perfect for him. Daniel has such extensive range." In the space of that phone call, Craig had asked for and landed his next leading role. And that's not the only time this method has worked for him. He reportedly landed a cameo role as a stormtrooper in Star Wars: The Force Awakens by calling director J.J. Abrams, and the role of Iago to David Oyelowo's Othello at New York Theatre Workshop after a phone call to director Sam Gold. For his breakthrough stage debut, Tom Holland danced his way into the hearts of London's West End audiences in Billy Elliot the Musical. It was backflips, though, that catapulted him towards Spider-Man: Homecoming. 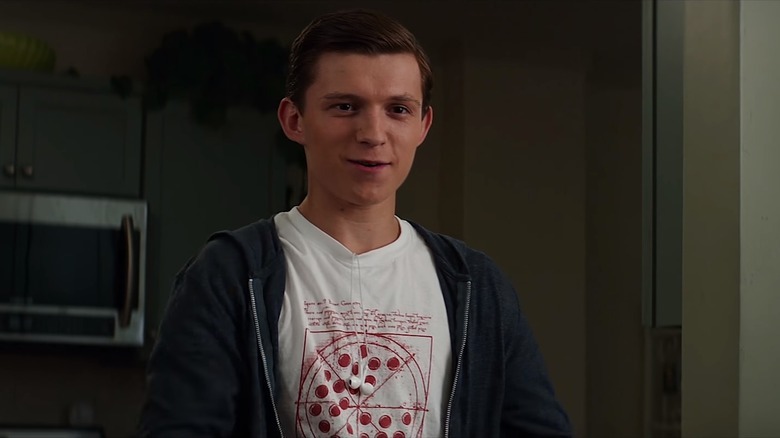 Holland won over the directors of Captain America: Civil War—the film that features the first appearance of the rebooted Peter Parker—with his unique set of physical skills. Noting that he and his brother were "pretty vocal" about wanting Holland for the part, Joe Russo added, "He is also a dancer and a gymnast. He fits the part like you can't believe." In the spring of 2015, the outlook for Holland was less certain. "I basically had been auditioning for about five months," said Holland, "and after my final audition they said 'you'll find out tomorrow.' Fast forward six weeks, I was still waiting." Holland explained he was in bed scrolling through Instagram when a post caught his eye. "Marvel just posted a photo saying go to our website and find out who the next Spider-Man is … I went on the Marvel website on my computer and there it was: 'The new Spider-Man is Tom Holland.' I went ballistic, like absolutely nuts." 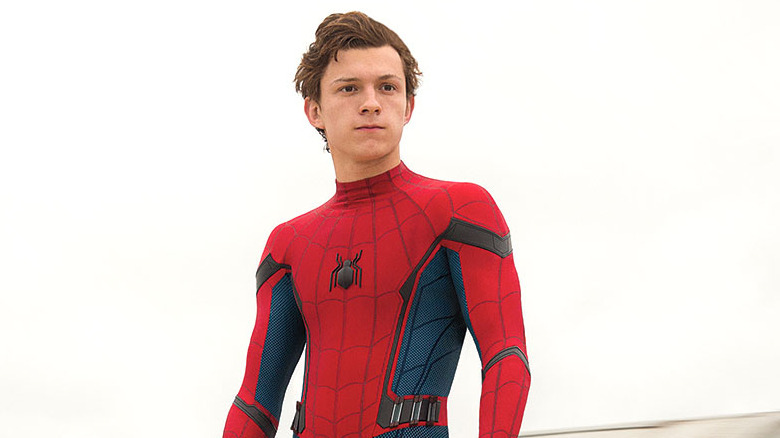 Following his Civil War appearance, Holland starred in Spider-Man: Homecoming, which went on to become the most successful superhero film of 2017, revitalizing the web-slinging franchise and making a bona fide star of Holland in the process. When Jacob Batalon submitted a tape of himself to casting directors in response to an open call for an as-yet untitled Marvel project, he didn't think much of his chances—until he was contacted by a Marvel rep who told the film school undergrad they'd be flying him from New York to a Los Angeles for a screen test with Tom Holland for Spider-Man: Homecoming. The newbie actor said he was "shaking in his shoes" through the audition. Batalon was told by the casting director that he'd find out in two weeks, but the man who would go on to play Ned Leeds had a long wait ahead of him, just like his eventual Homecoming co-star Holland. "Another two weeks go by," said Batalon, "you hear nothing. Basically, two-and-a-half months go by and I'm like, 'Wow, this is the most depressing life period of my life.'" That period ended on May 6, 2016, a date that altered the course of Batalon's life so dramatically he caused a public scene that he feared might get him arrested. While Batalon was walking through Bryant Park in New York, his manager called and told him "You're it, man. They're gonna make you Ned." As Batalon recalled, "I'm like, 'sir, thank you so much. I love you so much.' And I hung up the phone. I started crying, I started screaming, I started yelling and running down the sidewalk. All these people are staring at me like whether or not to celebrate or call the police on me. It was crazy as hell." Of all the fresh-faced actors picked to lead fans of George Lucas' genre-defining space opera through the Star Wars sequel trilogy, Kelly Marie Tran is arguably the most unknown. Her résumé before joining the Star Wars: The Last Jedi cast as Rose, a mechanic for General Leia Organa's Resistance, boasted only a handful of television credits and bit parts. Amidst preparing for auditions, going to casting calls, taking improv classes, and making comedy shorts for CollegeHumor.com, Tran managed to hold down a 40-hour per week office job at a temp agency. The grind was beginning to wear her down by the time she tried out for Star Wars. "I remember thinking, 'This could be my life forever,'" she admitted. "Like, I could just never make it. I could work this hard for the next 20 years of my life and still be struggling." Tran found out that struggle was over when she met with The Last Jedi writer/director Rian Johnson during her lunch break at the temp agency. "Afterward, he told me that I couldn't tell anyone, so I went back to work and answered phones and answered emails, like nothing happened," said Tran. "It was the most bizarre experience. Inside I was like, Ugh! Crazy!" 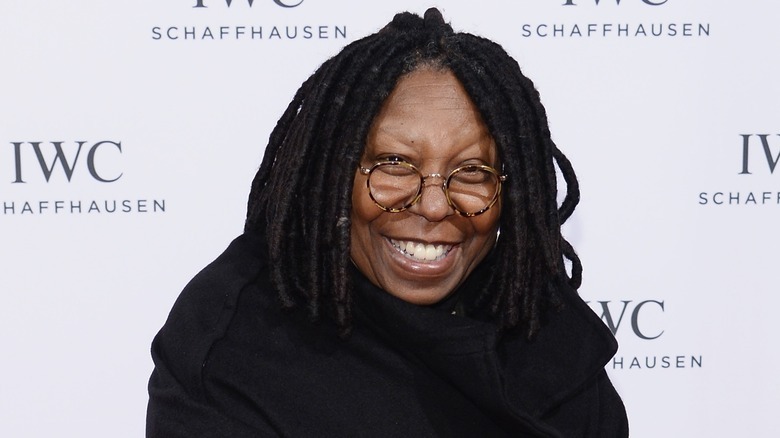 Whoopi Goldberg has the uncanny ability to swing between dramatic and comedic roles and make it look easy, from her Academy-Award winning performance in the 1990 supernatural love story Ghost to her musical turn in 1992's Sister Act. Branching out into television, she's been the moderator of popular daytime talk show The View since 2007. All this makes it hard to recall a time when Goldberg wasn't a part of the mainstream public consciousness, but in the early '80s, she was only known to theater audiences familiar with her one-woman show on Broadway. It was then that Goldberg heard Pulitzer Prize-winning author of The Color Purple Alice Walker reading from her book on the radio. Goldberg was so moved by the material, she decided to write a fan letter to Walker informing the writer that if they ever made a film of her book, she'd even play "dirt on the floor" to be a part of it. Goldberg received a reply on purple stationary from Walker herself, informing her that she was already aware of Goldberg's theater work and had sent her information to producers to be cast in Steven Spielberg's upcoming film adaptation. Spielberg called Goldberg soon afterward to inform her they wanted her for the lead role of Celie—a part that would mark her film debut, and earn her an Academy Award nomination. Disney/Pixar's dazzling Coco is the animated story of a boy's accidental journey into the land of the dead on the eve of Día de Muertos. 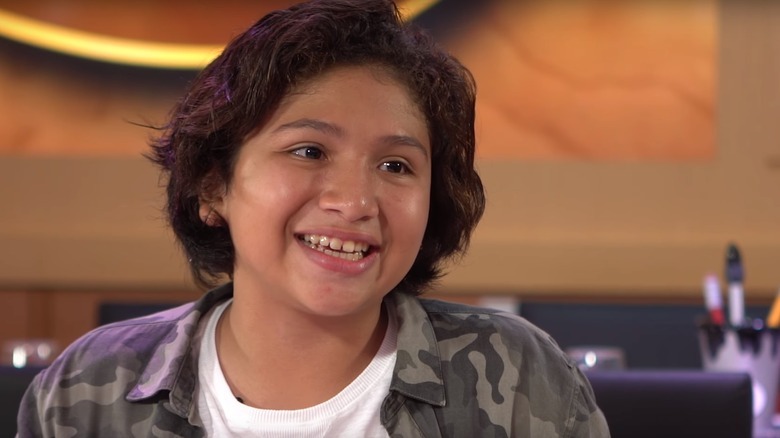 The movie features an all-Latino cast, including the voices of Benjamin Bratt, Edward James Olmos, and 13-year-old newcomer Anthony Gonzalez. Gonzalez didn't have much reason to suspect he was about to land the lead role of Miguel, an aspiring musician whose dreams run contrary to the wishes of his family. His acting credits were scant, but after recording test vocals for Miguel, director Lee Unkrich took the boy aside. "They told me that they had a present for me," Gonzalez recalled, "and I opened it and there was this wonderful piece of artwork of many colors that said 'you got the part.' It was just so amazing, and I couldn't believe that I got the part, that I was going to be part of a Disney Pixar movie. And I didn't know that from here on out my life would change."